Helping families and individuals reach housing stability, economic security, and improved quality of life. Metro Housing|Boston mobilizes wide-ranging resources to provide innovative and personalized services that lead families and individuals to housing stability, economic security, and an improved quality of life. Metro Housing|Boston’s personalized services help residents of greater Boston bridge gaps in the homelessness prevention and affordable housing system. Working with individuals and families who are homeless or at risk of losing their homes navigate available services, we empower 25,000 households a year to move along the continuum from homelessness to housing stability. Metro Housing|Boston works seamlessly with government, nonprofits, and corporations to continually increase our impact to the benefit of our participants. With more than 30 years’ experience piloting and implementing housing programs, Metro Housing|Boston has solidified its position as an industry-leading expert on navigating the affordable housing field. Our broad array of programs and services, as well as our extensive network of property owners and fellow service providers, allow us to address a wide range of housing-related issues, from preventing evictions and homelessness, to helping people find suitable homes, to making rent more affordable. Metro Housing|Boston serves individuals and families, as well property owners, in 30 communities throughout Greater Boston. To see the list of cities and towns we serve, plus our colocation sites, click MetroHousing|Boston Coverage Area. Metro Housing|Boston’s personalized services help residents of greater Boston bridge gaps in the homelessness prevention and affordable housing system. Working with individuals and families who are homeless or at risk of losing their homes navigate available services, we empower 25,000 households a year move along the continuum from homelessness to housing stability. 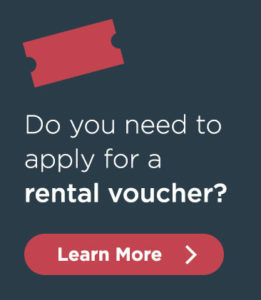 Rental assistance programs help makes rent affordable by subsidizing a portion of a household’s rent with the household paying the remainder, called their “rent share”. Metro Housing|Boston administers a number of rental assistance programs under contract with various government agencies. Metro Housing|Boston is committed to equal opportunity and access to housing for all by incorporating fair housing principles into all of its services. Metro Housing|Boston provides trainings and technical assistance to tenants, property owners, staff, and partnering agencies on their rights and responsibilities under applicable laws. Metro Housing|Boston offers a continuum of services to help people turn a safe, affordable home into a foundation for building a better life. Metro Housing|Boston offers free workshops and resources to any resident, renter – regardless of income – or property owner who has housing-related questions or concerns. Metro Housing|Boston conducts more than 19,000 inspections each year to ensure that renters in subsidized apartments live in safe, decent homes. We also partner with more than 4,300 property owners to offer a variety of programs and services. Metro Housing|Boston was founded in 1983 by leaders in business, government, and neighborhood-based community development. Our current Board of Directors reflects this tradition. Metro Housing|Boston thanks the following donors who contributed in Fiscal Year 2018. The Boston Housing Partnership (BHP)was incorporated in 1983 to address the declining availability in Boston of decent, safe, affordable housing for individuals and families with low and moderate incomes. In 1989, the Executive Office of Communities and Development decided that the Boston-area rental assistance programs should be administered by a local nonprofit agency rather than directly by state government. Metropolitan Housing, Inc.(MHI) was created and awarded the contract. Administration began in January 1990 with a caseload of 4,500 families. Given the increasing scarcity of housing resources and the compatible missions of BHP and MHI, merging these organizations would more effectively and substantially increase the agencies’ capacity to carry out its mission. In 1991 the two agencies merged into the Metropolitan Boston Housing Partnership (MBHP). A powerful board, which includes the CEOs of the region’s largest financial institutions, directors of the leading community-based groups, and prominent leaders of academic and social service agencies formed this new partnership, which represents 35 private sector firms, public agencies, and community-based groups. In 2017, MBHP evolved into Metro Housing|Boston to enhance the understanding of the scope of services and their unique approach. With a new name, a new tag line (People First, Housing Always) Metro Housing|Boston moved their office to a newly constructed building on the gateway to Mission Hill at Roxbury Crossing. This move allowed Metro Housing|Boston to be closer to the majority of families they serve. The hurt that Loyda felt was immeasurable. She was living with her husband and granddaughter in an apartment in Mattapan when she received an eviction notice. The property owner, one of Loyda’s relatives, raised the rent to an amount that Loyda could not afford. Soon after he enrolled at Roxbury Community College (RCC), Garland was notified that he had to leave his apartment building, along with all of the other residents, because the new owner was planning to do major renovations. A native of the Dominican Republic who came to Massachusetts at the age of 20, Katty was unable to work due to multiple disabilities. She always did what she had to do to protect her children, even if it meant living in a shelter. A stroke left Michael’s left side severely impaired, made worse by the fact that he was left handed. As someone who was dedicated to helping others, Michael was now the one who needed assistance. Bertha was a dedicated bus driver for the MBTA for 16 years, working four 10-hour days. She woke up one day to get ready for work, but something didn’t feel right. She had a severe headache that she could not shake. When Stephen suffered a severe stroke in January of 2017, his family did not think he was going to make it. In fact Stephen was pronounced dead at the hospital. But the Dorchester native was not ready to quit and he soon began the fight of his life. Lori’s long journey toward economic security began after marrying at a young age. After enduring years of verbal and physical abuse she summoned the courage to take her two children and move into a family shelter in Waltham. For more than two years, Preshiox and her mother, Naromie, were homeless, moved around between three different motels over 27 months. Then, Preshiox’s asthma landed her in a Brighton hospital, 40 minutes away from the Bedford motel was Naromie then placed. After a fall left Kate homebound, she turned to Metro Housing|Boston’s Home Modification Loan Program to help regain her independence. Her experience was so positive, she became an ambassador for the program. After Willie lost a good job due to the recession, he could no longer afford his rent. He and his young daughter ended up couch surfing with friends until he successfully applied to the HomeBASE rental assistance program through Metro Housing|Boston. When Rodney first met Sylvia and Rob from Metro Housing|Boston, “something just stood out to me,” he recalls. “I said to myself, ‘I need to go over to them and introduce myself.’” Little did he know that he was planting the seed of a relationship that would last more than two years. Christopher, an ironworker and single father, says working with Metro Housing|Boston gave him the motivation he needed to bounce back from homelessness and chart a path toward housing stability. By enrolling in Metro Housing|Boston’s Family Self-Sufficiency Program, Ana began a journey that led her to the front door of her new home—a home she owns.